Being a gramma means you are a parent to adult children. Both my daughters are married and running their own households. Back in 2005 I had the perfect idea for their Christmas present. Although this one wasn't difficult, it took along time to create. If you like the idea, you should start now. 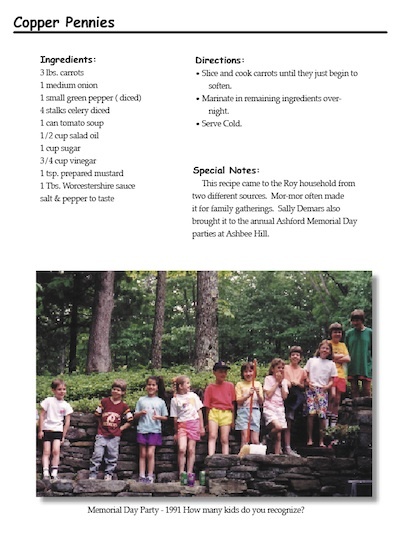 I made a family recipe book filled with the recipes from their childhood. It includes their favorites that I made but also the ones their grandmother's made, and even some from great-grandmothers! 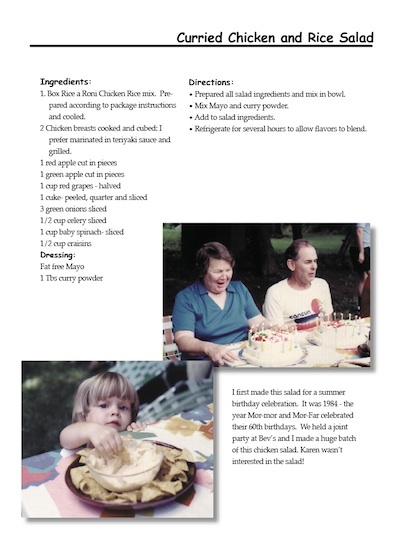 I also included photographs of the family celebrating together, both cooking and eating along with little stories about the people that loved or created a specific recipe. I laid in out in Adobe CS InDesign although now I would probably use Apple's Pages instead. 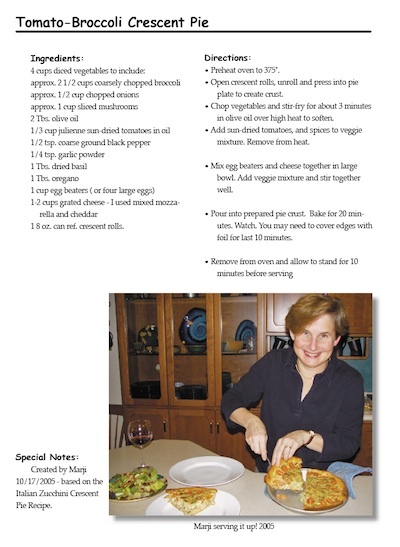 I started the book early in the year and each time I made one of the favorite recipes I had David photograph me with the prepared food. This way I spread out what could have been a huge job through out the entire year. We just kept the camera in the kitchen and took photos on appropriate evenings. I assembled the book in a loose-leaf notebook sliding each recipe into a plastic sleeve. I found some fancy notebooks in the portfolio section of an Office Supply place. 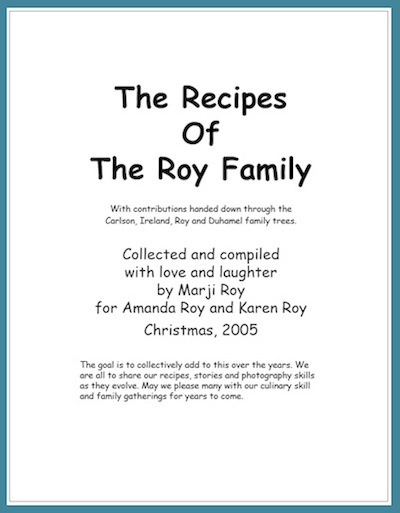 The cookbooks were under the tree on Christmas morning 2005. Both girls were here with their soon to be husbands. They were thrilled to receive them and have used them extensively in the years since. My thought was we could add to it over the years. In fact in 2007, under the Christmas tree was a packet to me from the girls. 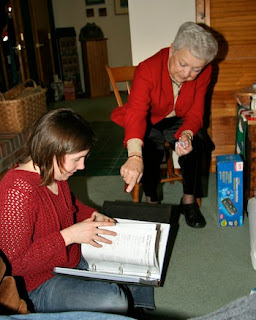 They had created the first addendum, beautifully laid out and complete with photographs and stories. Luckily the books are loose leaf. We all continue to add to them as we acquire new recipes. The recipe book has continued on. My sisters and my nieces asked for copies. 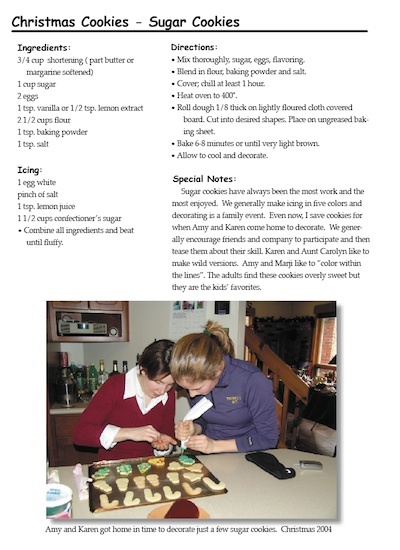 Friends of the girls are often having me email some of the recipes to them. 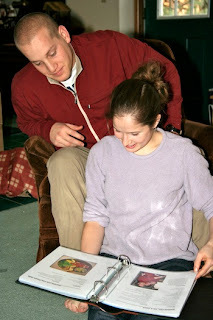 And the girls have developed similar books as wedding presents for friends. It is a gift that keeps giving. I encourage you to start one today!